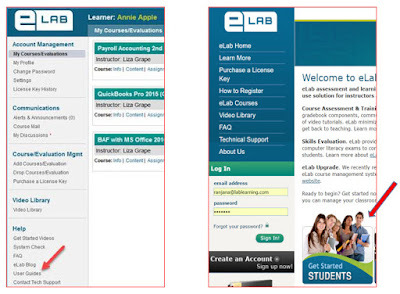 The new eLab Students User Guide is what you need to stay on top of your coursework! Based on feedback from all our users, we have updated our Student Guide to the latest version of eLab. A condensed list of four-five key things you need before you start working in eLab. Expanded coverage of eLab functionality including homework and projects, resubmissions on tests and assignments, simulations questions, trial software and accessing your ebook. Actual screenshots for each eLab functionality to match with what you see in eLab. You can access the latest guide from either the User Guide link in your eLab course page or “Get Started Students” section on the eLab home page. We thank all contributors, that is our students and educators, who help us improve the eLab experience every day. I’m pleased to share that eLab’s infrastructure has been upgraded for increased availability and significantly reduced interruptions to your work. Over the past few weeks, eLab experienced network delays and one of these led to a two-hour outage on Sunday 10/16. This prevented users from logging into eLab. We are truly sorry for the interruption in your work! We have now upgraded our eLab infrastructure to the best available and enhanced security to minimize outages. If, due to a reason beyond our control, eLab encounters an issue, our team will be instantly notified and initiate a fix. At the same time, eLab users will see an automated message informing them of the issue and ensuring that the fix underway. We thank you for your support and understanding! Due to planned maintenance, eLab and eLab SET will not be available on Saturday October 22, 2016 between 1:00 and 2:00 AM EST. Educators and students will not be able to access their eLab accounts during this time. We appreciate your patience and will be back soon. If you have any questions, please contact help@labyrinthelab.com. Never lose your Payroll assignment work again! Becoming a payroll guru just got simpler. Labyrinth Learning has recently added a new feature for anyone using our Payroll Accounting course in eLab. The new feature will automatically save any intermediate work on all payroll assignments every 5 minutes. That means learners will never again lose any data entered in online eLab forms—not even if they get automatically logged out of their eLab session. Thank you to all the educators and learners who helped us add this feature to make eLab better for everyone! Don’t take our word for it. Try out the new feature at www.labyrinthelab.com. And, share your feedback below! Interested in our Payroll Accounting courseware? Learn more at our online store. Not using eLab yet? Educators, request a demo today for eLab, our online learning and skills development product with algorithmic assessments and automatic grading. This new feature allows instructors to select up to 25 assignments at a time from the library to add to their course. There is also an option to apply global settings to all of the selected assignments. Instructors will be asked if they want to make edits to the assignments (i.e., the due dates). Choosing Yes takes the user to the first selected assignment for editing, and then clicking Save & Next moves the user through the remaining selected assignments. This new feature allows instructors to select multiple assignments and make edits that will apply to all of them (i.e., changing the assignment type, maximum point allotment, due date, and more). This new feature adds an asterisk next to the current grade as notification to both student and instructor that there is an ungraded resubmission. Prior to this feature, if a student resubmitted an assignment, their grade for the existing submission was displayed for the assignment and in the gradebook, with no visual cue that there was an ungraded resubmission and that the current grade could change. This new feature allows students to access the Concepts Review Quizzes from both the content area and the student test page. The quizzes will remain available in the content area, since they are designed to be part of the training content. Due to instructor feedback, the quizzes are now also available from the test area, so students can easily access them from either place. Upon course set up, the quizzes will automatically be populated on the student test page. There will be no option for instructors to set a required access point for the quizzes. 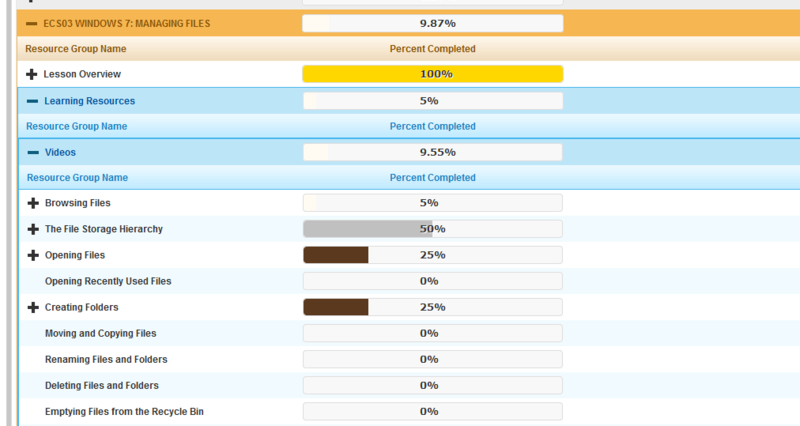 This feature allows instructors to display or hide the individual category averages in the student gradebook. The option to display or hide the final course grade in the student gradebook remains unchanged. This enhancement allows instructors to change the full test availability window (date available and due) for individual students, as is currently available for assignments. Instructors can use the Change Availability Window link in the test information section for specific students, which will continue to display the start and end dates for the entire class as well as for that individual student. The Heartbleed security bug is reference to a significant vulnerability related to servers based on OpenSSL. The bug infiltrates servers using OpenSSL, which leads to files holding private information such as personal passwords being stolen. No. 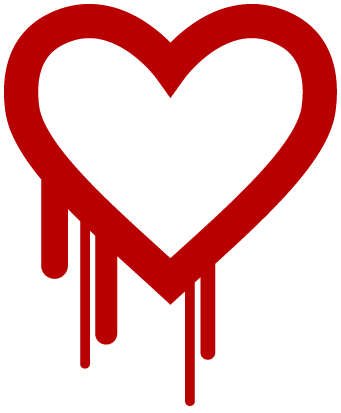 The Heartbleed bug affected sites that used to take SSL requests (https) and had older versions of OpenSSL. The eLab web servers do not take https requests, so users should not be concerned with this vulnerability. Is there anything I should do as an eLab user? No action is required; however, if you would like to change to password, click the Change Password link under Account Management on your My Courses page.